Are you looking for programmable logic controllers that offer a cost-effective and flexible automation system? Siemens programmable logic controllers are just right for every application. SIEMENS SIMATIC programmable logic controllers have consistently proven their worth in mechanical engineering, production and process technology — and have set standards in engineering, communication and diagnostics. Equipped with a full range of functions, every SIMATIC HMI panel provides the most efficient human-machine interface for machines and plants. Keypad and touch panel versions come in a range of performance classes. SIEMENS HMI offer a winning combination of ruggedness and brilliant displays, and have proven themselves for years in very different applications worldwide and in all industries. 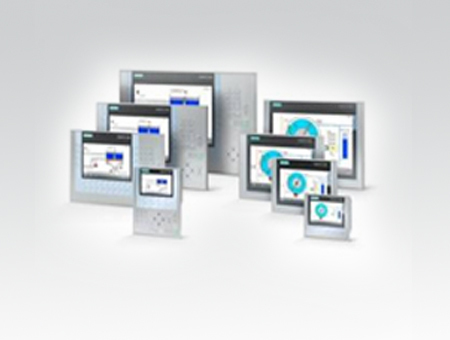 SIEMENS HMI do not only have an innovative design and provide high performance. One unique feature is the configuration via SIMATIC WinCC in the TIA Portal with a previously unknown degree of engineering efficiency. A) SIMATIC HMI Basic Panels offer basic functions for simple Human to Machine interfacing applications. B )SIMATIC HMI Comfort Panels are suitable for complex applications. 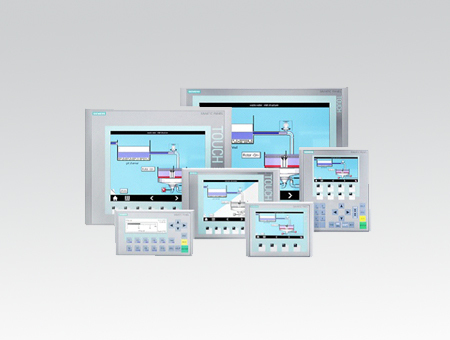 The functionality of the SIEMENS HMI is identical within a family of devices. Client can select the optimal display size for your application and decide whether to operate it by means of a touch screen and/or keys. SIMATIC HMI Key Panels, the innovative operator panels ,are pre-assembled and ready-to-install. Compared to conventional wiring, this results in time savings of up to 60%. visually, portable operator panels bring important advantages. 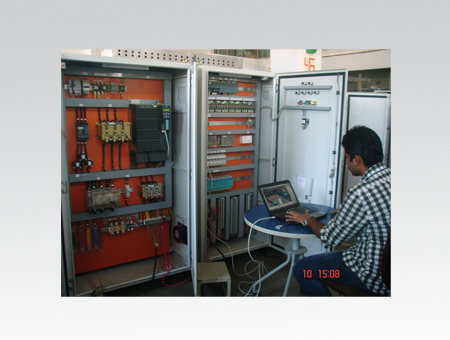 SIMATIC HMI Mobile Panels can be wired or wireless. Complete safety functionality via IWLAN, to date this is only available for SIMATIC HMI Mobile Panels. SIMATIC HMI can be intuitively configured with SIMATIC WinCC in the TIA Portal. An increased degree of engineering efficiency is achieved in the Totally Integrated Automation Portal if additional Totally Integrated Automation components Such as SIMATIC Controllers are used. The perfect interaction with STEP 7 prevents multiple entries and guarantees data consistency. Comfort HMI widescreen format provides up to 40% more visualization area and thus expanded display capabilities for complex operating screens. This format also allows a clear division between the sections for application monitoring and application operation.